Malaysia Airlines (MAB) has responded to allegations by travel blogger Josh Cahill of being “bullied” by the airline crew, saying that it prides itself on the quality of its service and regrets if the passenger felt standards were below expectations during the flight. In a statement to A+M, MAB’s spokesperson said that as soon as the team was made aware of Cahill’s grievances, they contacted him directly and offered a full refund for his journey. “We are taking his accusations seriously and conducting a review into what happened,” the spokesperson added. The airline came under the spotlight recently after Cahill posted a video on YouTube and Instagram recounting his “terrible” experience on MAB’s new Airbus A350 from Kuala Lumpur to London. Cahill, who runs the blog GoTravelYourWay, said he sought permission from MAB’s social media team to film on the flight, but was asked to stop by the crew midway through the journey. He added that when he first boarded, his first impression of the crew was that they were “extremely unfriendly” and unsmiling. As the flight progressed, Cahill took clips of what he deemed to be a “lukewarm breakfast”, and shared that the cabin crew “could not be bothered” to fix his in-flight entertainment set, despite him alerting them that it would not start up. Frustrated, Cahill posted about his experience on Instagram (where he has over 20,000 followers) halfway through the flight. In the post, which garnered 128 comments and 980 likes on Instagram at the time of writing, Cahill described the MAB flight as “the most disappointing flight of the year”. To make matters worse, shortly after posting on Instagram, Cahill said “everything went downhill”. Apparently, someone came across his post and informed the captain, which led to him being called out by the purser who was in charge of the economy class. “They wouldn’t serve me anymore. No water, no drinks. I was completely ignored. I am a paying customer and I didn’t do anything wrong,” Cahill said, adding that he was merely sharing his experience on the Internet like how other consumers do. “This is how they deal with criticism? It’s unheard of,” he said. Cahill was also apparently told by the purser to stop filming even though he received permission from MAB’s social media team. “[The purser] said he did not want anyone to serve me anymore unless I stopped filming,” Cahill said, adding that he felt “extremely uncomfortable”, “humiliated” and “like a criminal”. After he landed in London, Cahill said he received a few “template” apology emails from the brand, and when he got in touch with MAB’s group CEO Izham Ismail, the group CEO apparently also sent a template apology. A+M has reached out to MAB to share a statement on the matter of the group CEO’s email. “The airline slogan says ‘Malaysian hospitality begins with us’. This is not only an insult to the people of Malaysia but to the entire country because Malaysia is all about hospitality and warm-hearted people,” Cahill said. 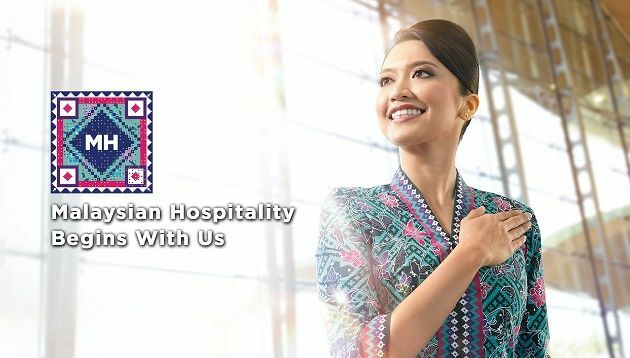 In March this year, MAB launched its brand campaign titled “Malaysian Hospitality Begins With Us”, to reinstate and demonstrate MAB as the national icon and represents Malaysian hospitality on behalf of the nation to all its guests and customers. Izham said during the launch that the airline’s diversity, heritage and culture are the foundation and reference of the brand promise, and that MAB aims to provide a Malaysian experience in travel through Malaysian hospitality. Separately, MAB also made headlines when it warned the public about fake ads and clarified that the company has no relation to them. The airline said there have been multiple false ads related to MAB that have been spread by “unscrupulous parties with the intention of fraud and theft”. The training series will focus on successful programmatic marketing, mobile planning and executions. ..
Merc targets couples, VML Qais promotes plus more. ..